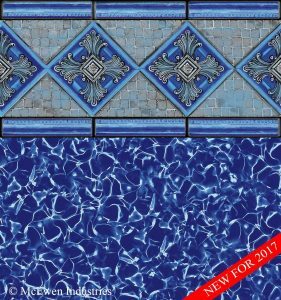 Another new exclusive in-ground liner pattern for 2017 is “McDowell”. Old world architectural details and beautiful stone work will automatically bring a sophisticated look to your backyard. 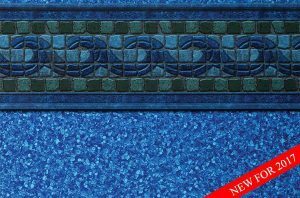 Whether you are working with simple concrete or bluestone decking, this liner will complete the look of the pool. 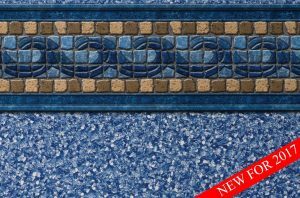 “McLean” is an exclusive new in-ground liner pattern for 2017. It is a fresh take on our most popular pattern of 2016, “Pence”. It’s printed on blue vinyl and offered in our fully 27 mil material. Click here for more information on all of our in-ground swimming pool liners. 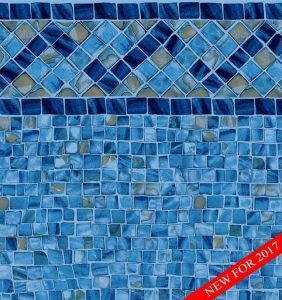 Please click below to watch our new video that showcases our new patterns for 2017! Click here for more information on our in-ground liners. Introducing our new in-ground liner pattern “McLeod”. 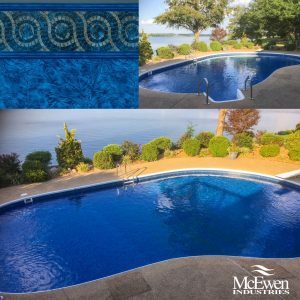 “McLeod” features a unique blue and green combination which is a nice tie in between the water and the yard. It is featured on a pebble blue floor and offered in fully 27 mil. Click here to see our entire 2017 in-ground liner collection. Introducing our new in-ground liner pattern “Cameron”. It is a new and improved version of our old favorite pattern “Hall”. The stones have a golden brown/beige color as compared to the terra cotta stones that made up the “Hall” pattern. It is offered in fully 27 mil. Introducing our new pattern “McLean”. It is a fresh take on our most popular pattern of 2016, “Pence”. It’s printed on blue vinyl and offered in our fully 27 mil material. Introducing our new exclusive 27 mil liner pattern “McDowell”. Old world architectural details and beautiful stone work will automatically bring a sophisticated look to the backyard. Whether you are working with simple concrete or bluestone decking, this liner will complete the look of the pool. As we are celebrating our 25th anniversary, check out this video that showcases our in-ground liner pattern charts from the last 25 years! Check out our new safety cover installation video! Click here for more information on our safety covers. 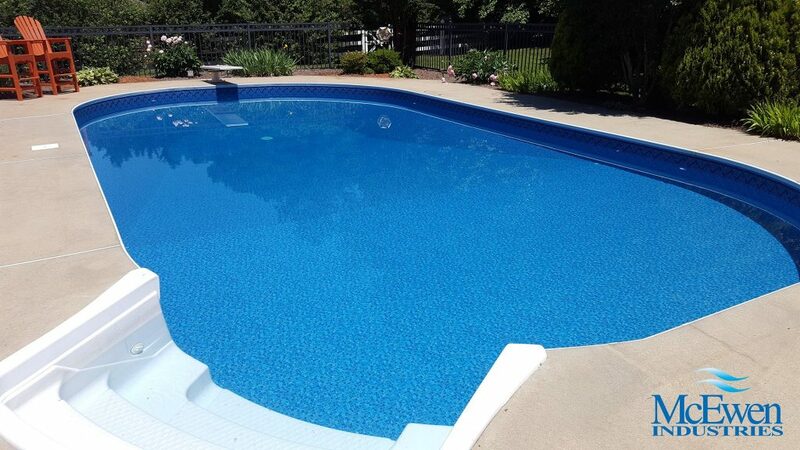 Enjoy these pictures showcasing our “Johnston” swimming pool liner.